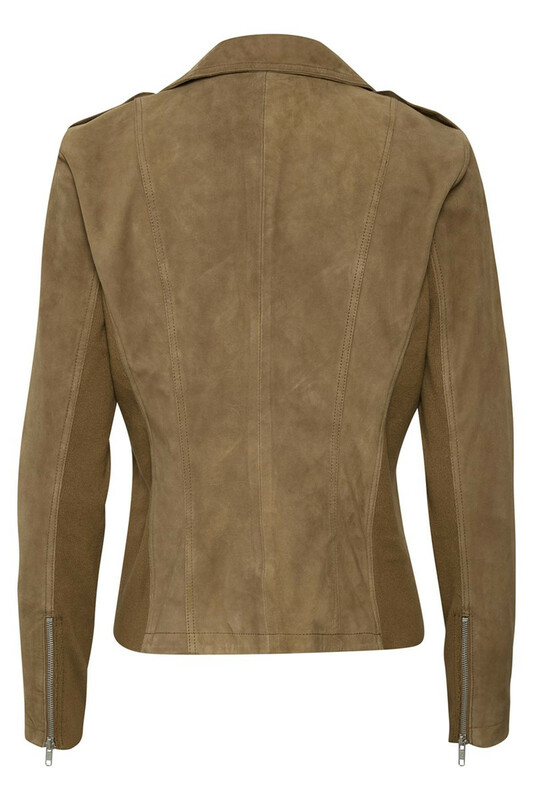 Really nice and cool short jacket in exclusive suede quality from KAFFE. The jacket has this trendy colour, is really comfortable to wear and got cool raw details. 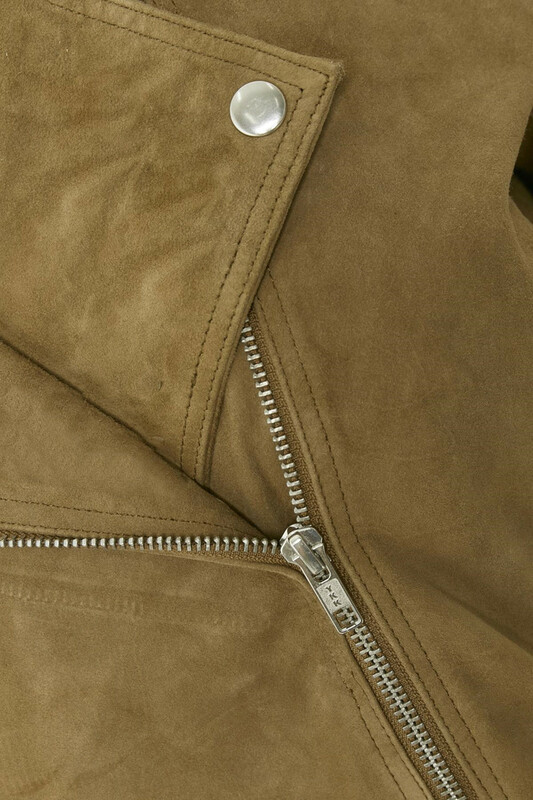 The raw details are reflected in the robust zip fastener, which create an edgy but feminine look. 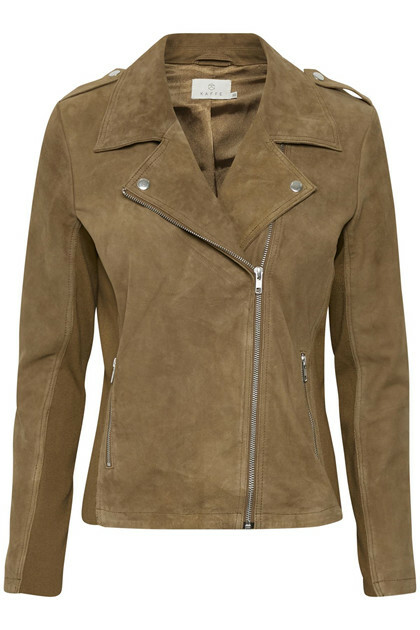 The jacket is a perfect complement to the classic leather jacket.